Description: When Arjun (Anil Kapoor) and Vicky (Rishi Kapoor) meet, they are oblivious to the fact that they are cousin brothers. They meet as friends until one day the truth dawns that the person behind the humiliation and destruction of Arjun's mother is their grandfather Yodhraj (Anupam Kher). The battle lines are drawn. 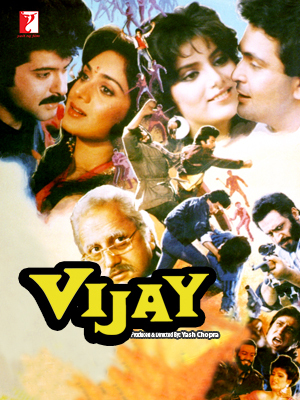 Arjun takes up his mothers cause against his own grandfather and vows to destroy him.When Arjun (Anil Kapoor) and Vicky (Rishi Kapoor) meet, they are oblivious to the fact that they are cousin brothers. They meet as friends until one day the truth dawns that the person behind the humiliation and destruction of Arjun's mother is their grandfather Yodhraj (Anupam Kher). The battle lines are drawn. Arjun takes up his mothers cause against his own grandfather and vows to destroy him.